It was one of the first stops on my 22-day trip to Morocco back in 2010. 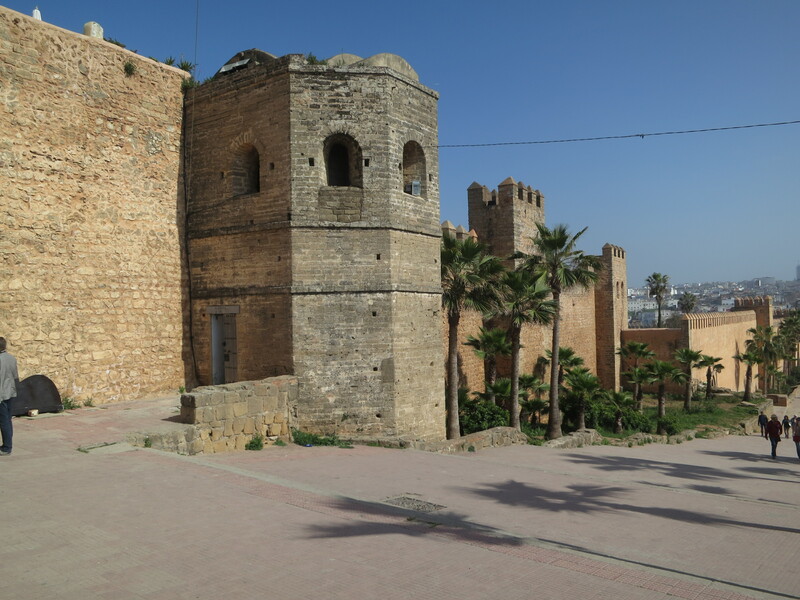 Although I was immediately in love with the Kingdom, I also remember enjoying my visit to Rabat. Sadly, as was the case on my tour, the capital city is often given only a half-day stop on most itineraries. So as I boarded the train on a Friday afternoon in my hometown Marrakech, I was excited to be heading off for a weekend away. And just 4.5 hours away by frequent train service, I was reminded how close and easy it is to travel between these two cities. Upon arrival we checked in to our riad for the evening. 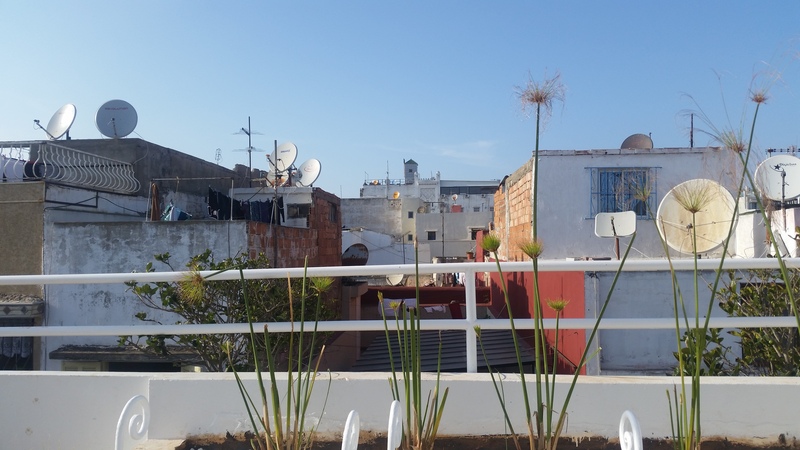 Perhaps because it’s further north, the riads I visited had a very Mediterranean or Andalusian feel with rooftop terrace views that reminded me of Essaouira. It must have been the white-washed medina and seaside views. After breakfast in the riad on Saturday morning, we wandered out of the medina along Avenue Mohamed V admiring the art-deco architecture along the way, passing the parliament buildings on the right and eventually coming to the architectural jewel on the left that houses the Mohamed VI Museum of Modern and Contemporary Art. The permanent collection here is complete and representative featuring artists from across the Kingdom. 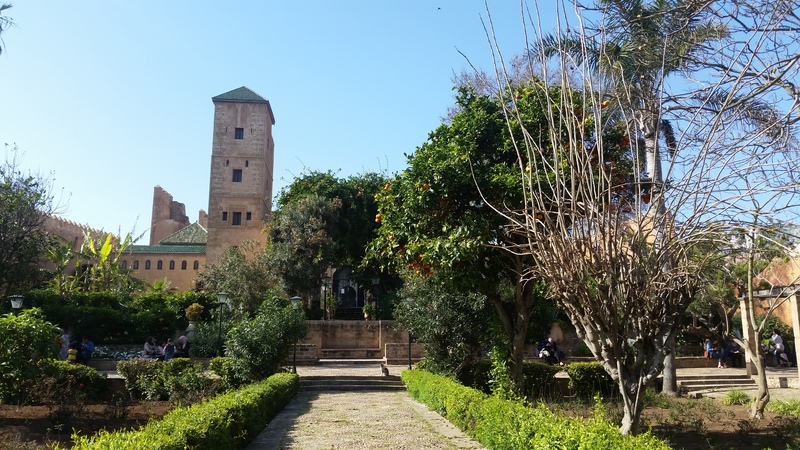 I was lucky enough to tie in my visit with the Medieval Morocco exhibition which highlighted the vast Kingdom that once expanded to Andalusia from southern Marrakech and the dynasties that ruled. Quite simply it was one of the best exhibits I’ve seen in a long while. (It’s on display until 2 June 2015). I’ve heard recently that Rabat is set to become the cultural hub of Morocco with new museums scheduled to open in the coming years. The National Library of the Kingdom of Morocco is also set to host the Berber Women of Morocco exhibit organized by the Fondation Pierre Berge which I am looking forward to visiting en route to Fes for the Sacred Music Festival next month. 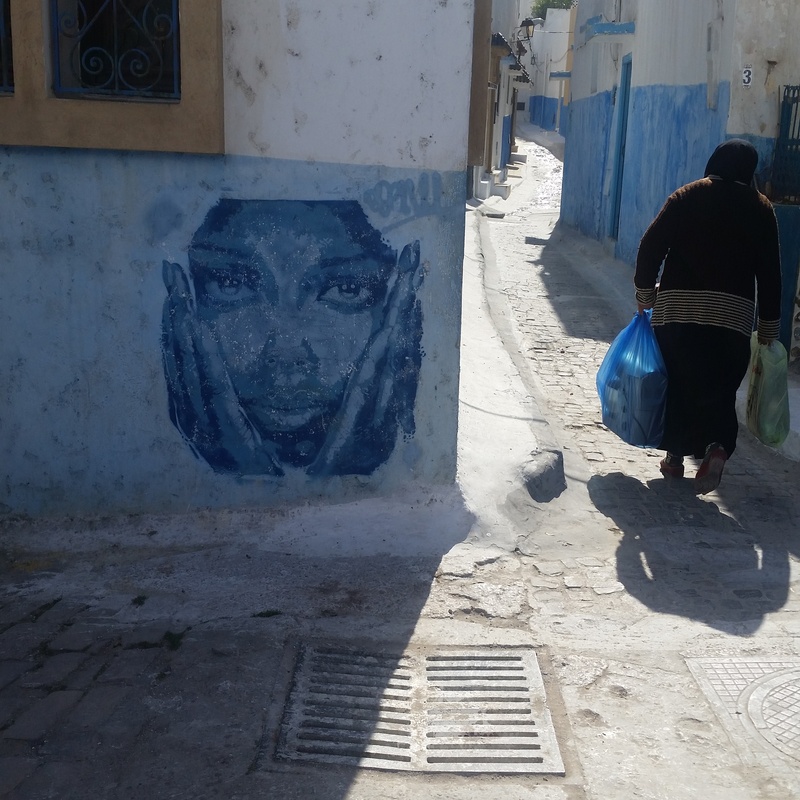 While touristic, I do love a wander through the blue-and-white Kasbah Oudayas, admiring local medina life, and winding eventually towards the Andalusian gardens. Popular with the locals, this is an ideal spot to sit and relax. Be sure to head over to the famous Cafe Maure, a great place to have a relaxed tea while admiring the view of the ocean. 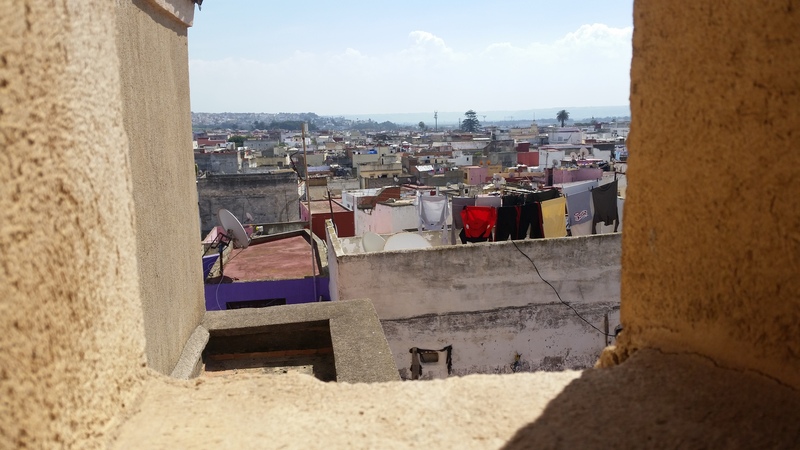 After packing our bags, we crossed the river over to Sale for a wander through the medina and a visit to a beautiful and tranquil medersa (Koranic school) where we were the only tourists visiting and were afforded great views of the medina from the former student’s residential area. Entrance fees at Moroccan state-owned museums and historical monuments cost only 10 dirhams (approximately $1/ £0.70 / 0.90€) and we were well-pleased with our visit. Sale is just a short ride tramway ride from downtown Rabat and the medina here has an Andalusian feel. Chellah – a Roman and later Berber ruin that is perhaps one of my favourite sites in Rabat and much less touristic and perhaps grande than nearby Volubilis. The annual jazz fest organized here is high on my bucket list. Magical venue + special ambiance + great music = super cool! 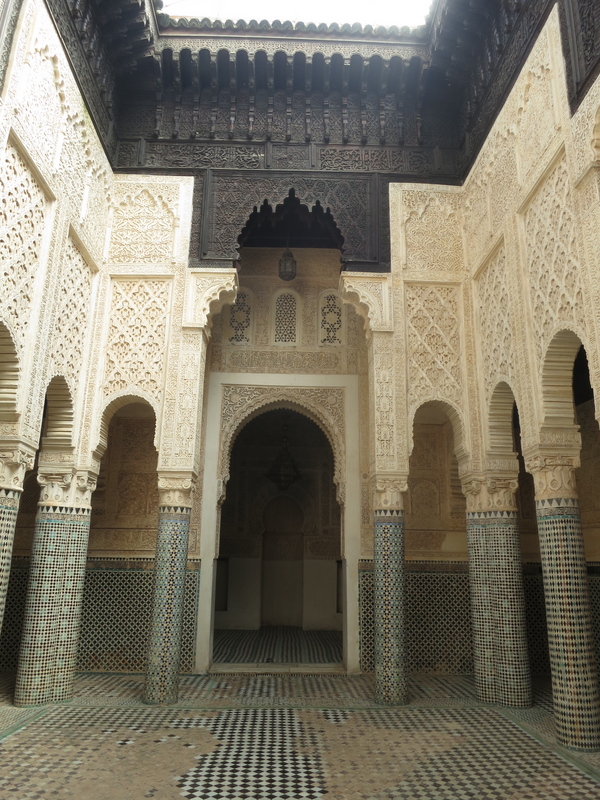 Tour Hassan and the Mausoleum of Mohamed V where the architecture and zellig are perfectly fit for a King. Wander through the recently opened Botanical Gardens, an oasis in the city centre and a perfect spot for a picnic. Relax and unwind with a drink on the rooftop terrace of a riad while enjoying the sunset. Don’t forget a sweater as the sea breeze can be chilly. Enjoy a wander through the medina. 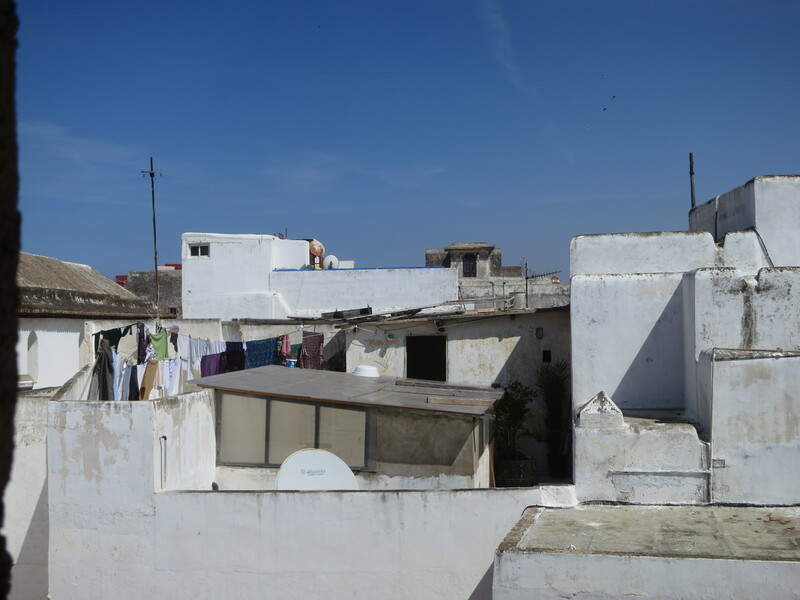 Unlike Marrakech, this medina is largely populated by and serves the locals. Have a drink on board at le Dhow for great ambiance and people-watching. Oh Mandy, with every new post you make me miss Morocco more and more. I should definitely go back there again. Have a beautiful weekend! Hi, Love your blog and your story.. Hoping to visit Marrakech soon and would love it if I could get a custom leather bag made with a design I have in mind.. Any recommendations of where I could find an artisan who would agree to do this?